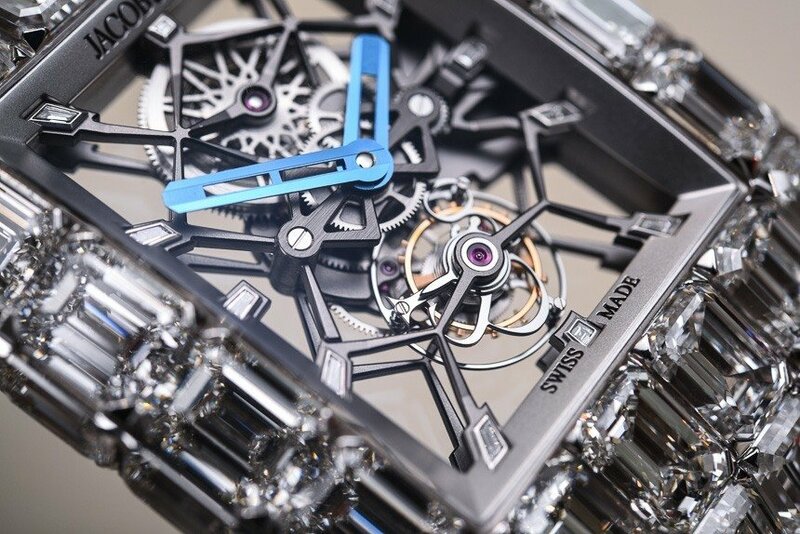 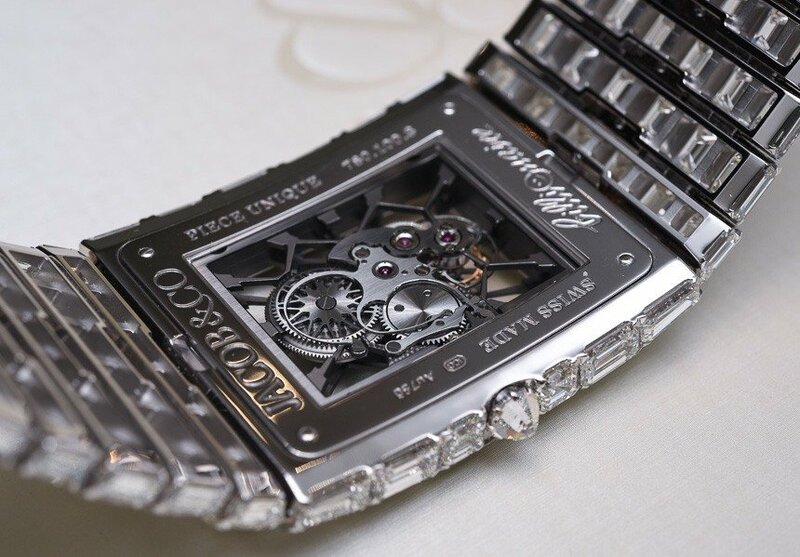 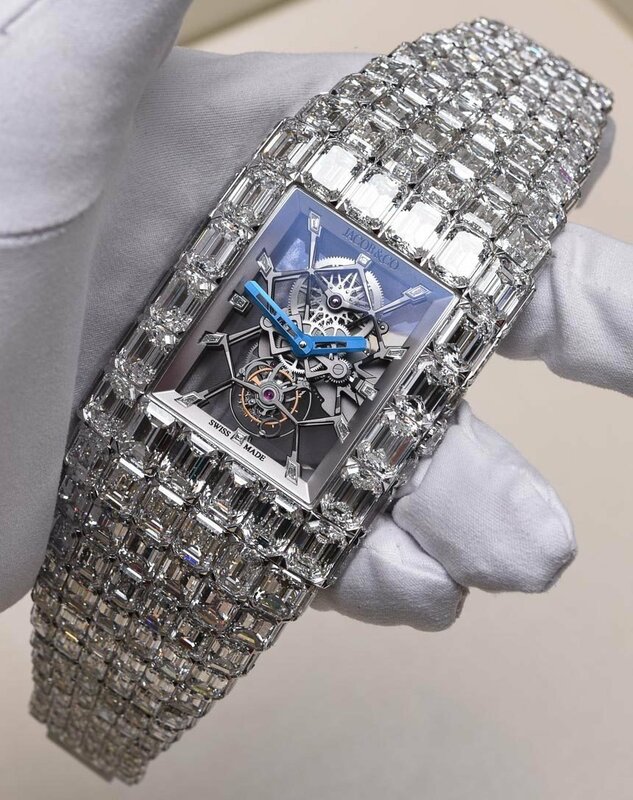 The Jacob & Co Billionaire watch is a one of a kind timepiece covered in real diamonds. 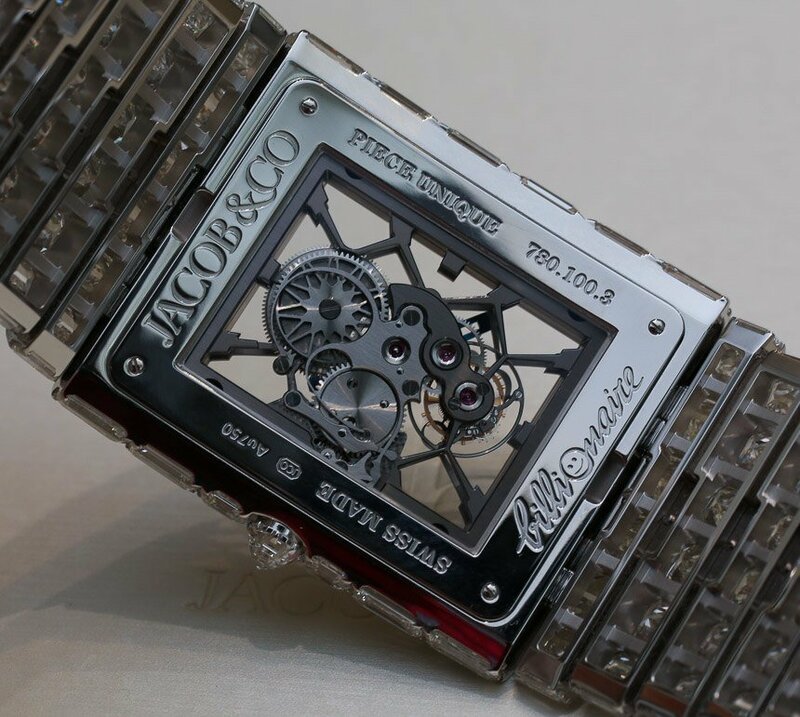 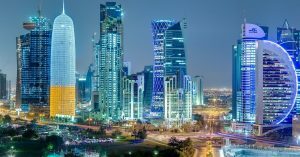 It was produced by billionaire Jacob Arabo in collaboration with Italian Flavio Briatore’s Billionaire fashion label. 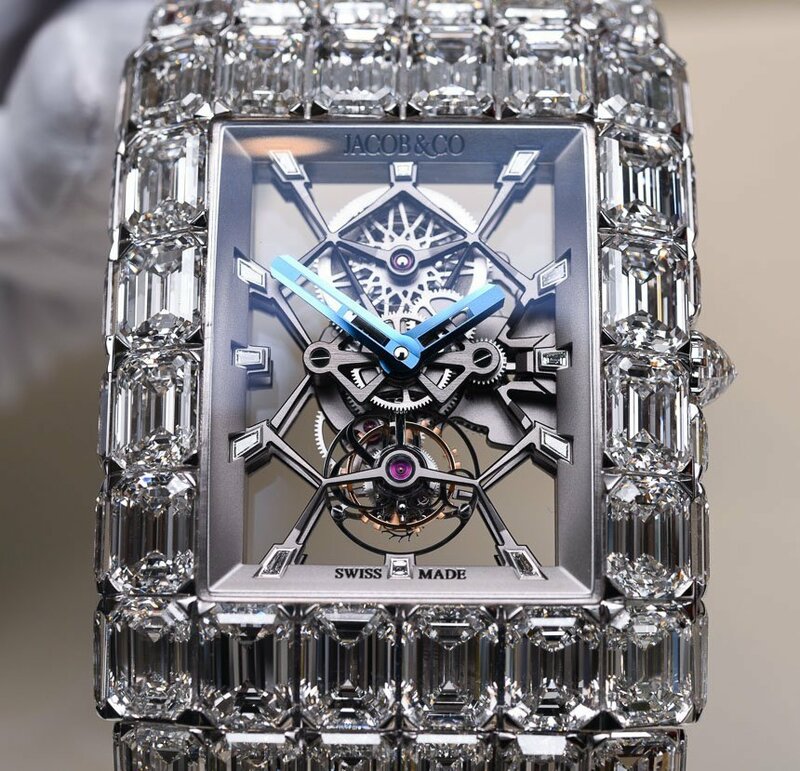 If you have a spare $18 million dollars or roughly 9 new Bugatti Veyrons then you can have this on your wrist. 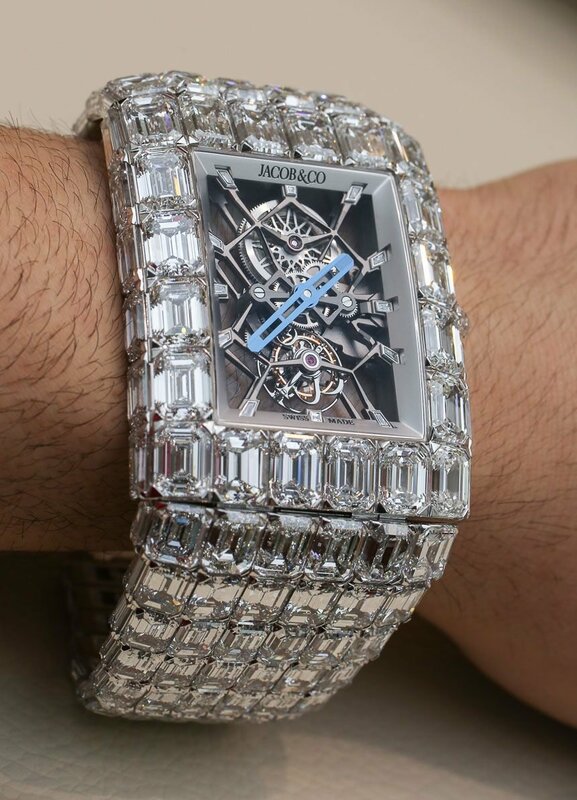 So who buys this watch? 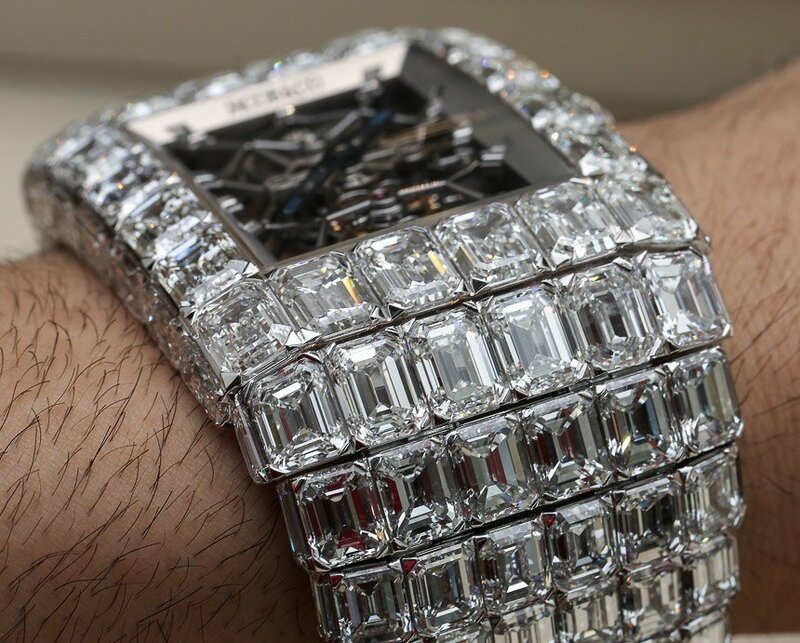 Someone who makes waaaaaaay too much money than he can ever spend in his life. 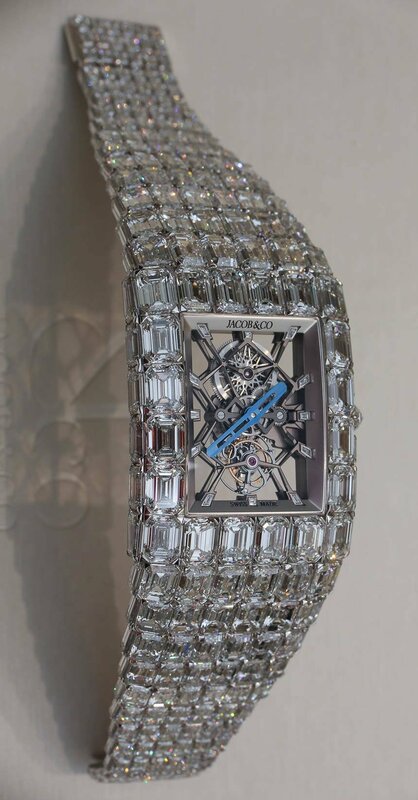 They are the ones who would like 260 carats of large, baguette-cut diamonds on their wrist. 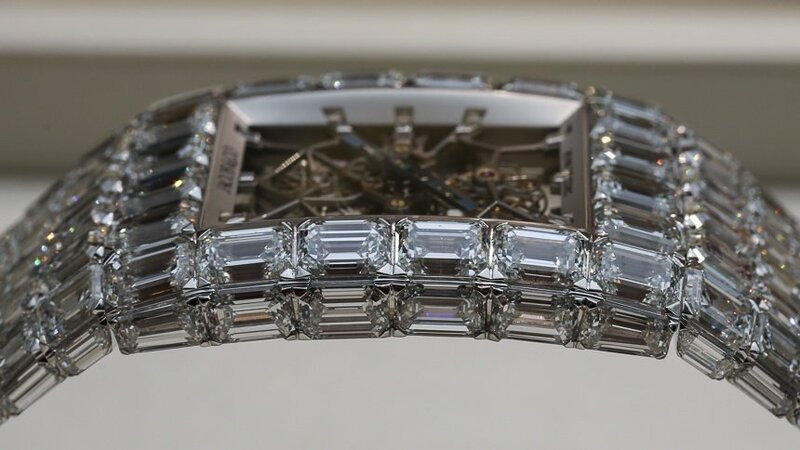 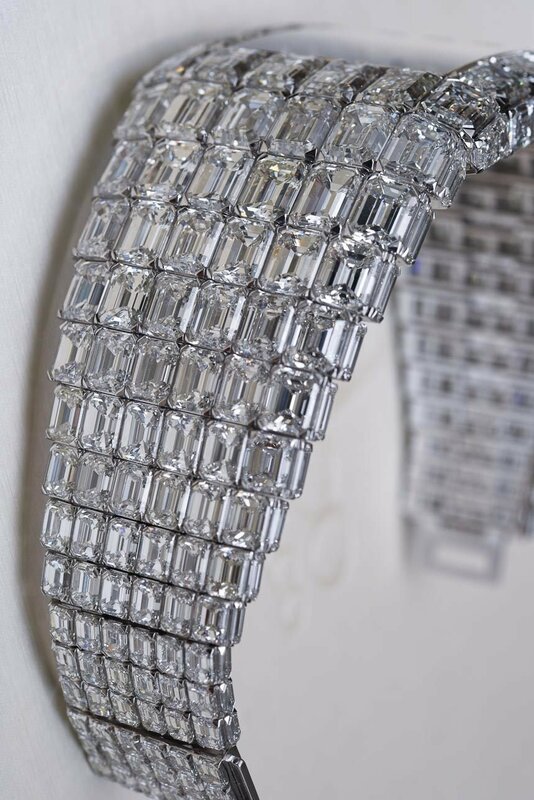 The Jacob & Co Billionaire watch is more of a crown rather than a watch since it is a massive diamond covered bangle bracelet.